Sales of all properties in the Greater Vancouver Area reached 24,619 in 2018, a 31.6% decrease from the 35,993 sales recorded in 2017, and a 38.4% decrease compared to the 39,943 residential sales in 2016. 2018's sales total were -25% below the region’s 10-year sales average. December saw a 46.8% decrease in sales volume compared to December 2017. 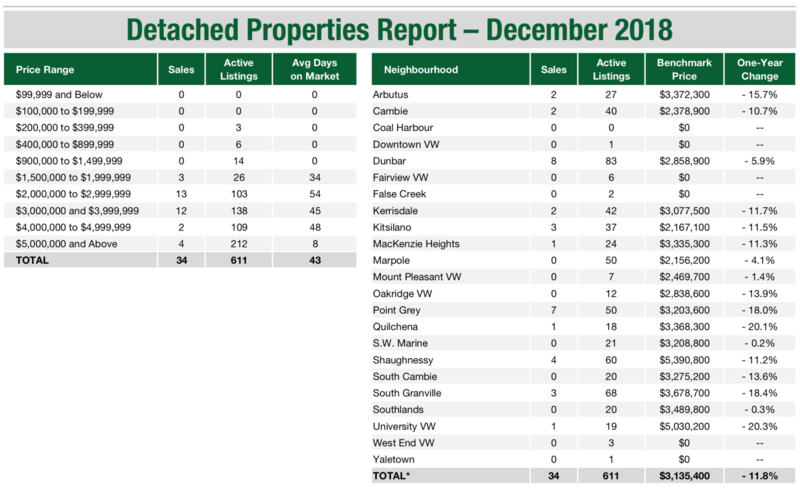 What's more, December 2018 sales were 43.3% below the 10 Year Average. December also saw a 33.3% decrease in sales volume over the previous month, November. Sales of detached properties in December 2018 reached 34, a -8.1% decrease from December 2017. The benchmark price for detached properties is $3,135,400. This represents an -11.8% decrease from December 2017. 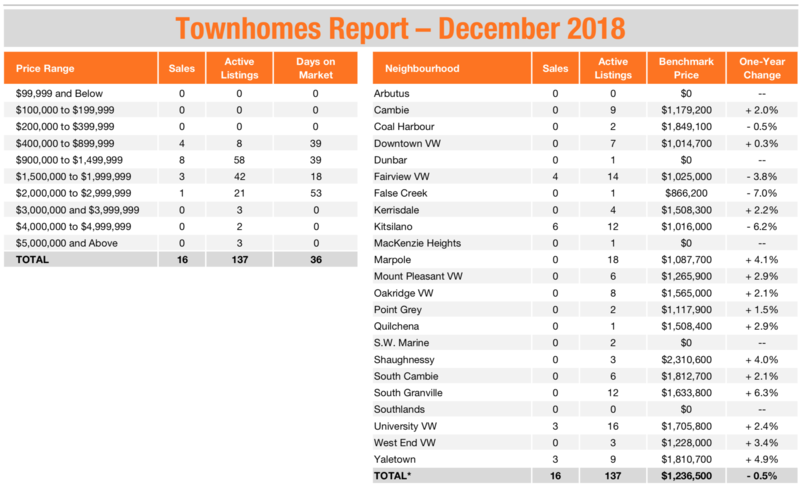 Sales of Townhomes in December 2018 reached 16, a 27.3% decrease from December 2017. The benchmark price for Townhome is $1,236,500. This represents an 0.5% decrease from December 2017. 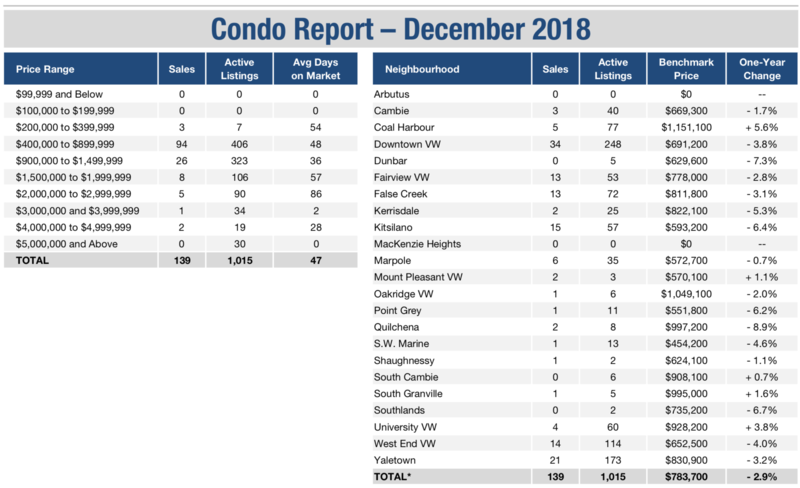 Sales of Condos in December 2018 reached 139, a 44.6% decrease from December 2017. 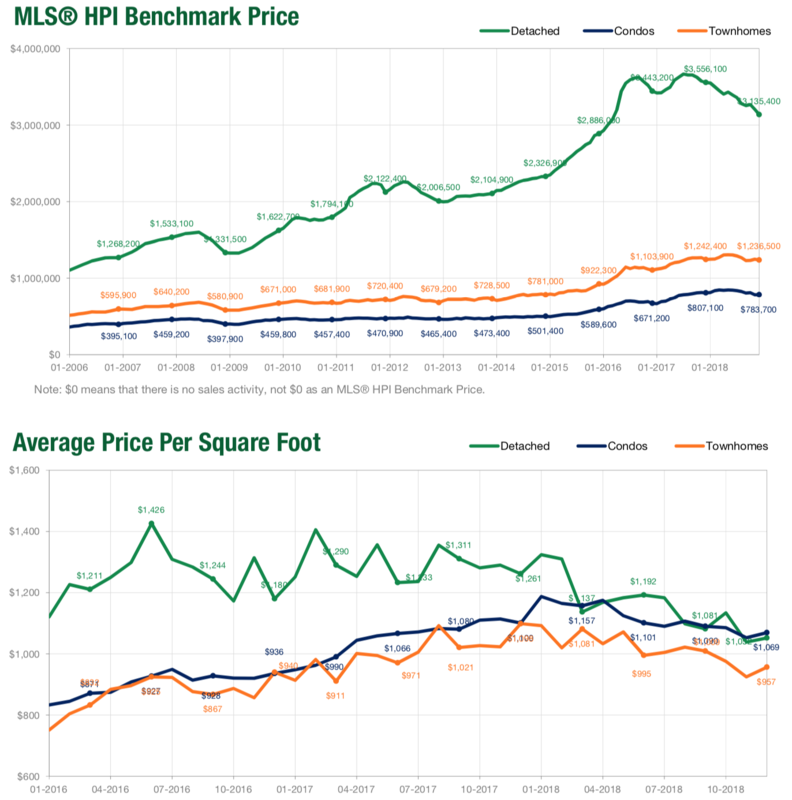 The benchmark price for condo properties is $783,700. This represents a 2.9% decease from December 2017.